A Playmat that inspires development with sights, sounds, touch and toys. 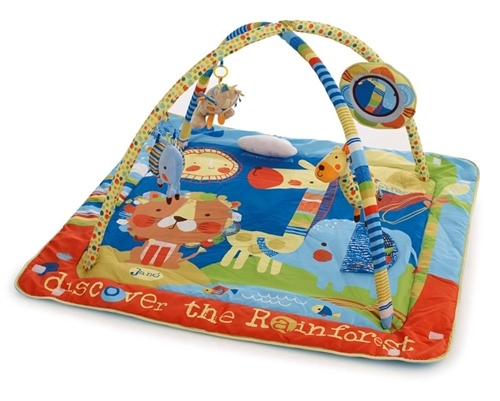 This activity mat adapts as your baby grows and develops. Includes safety mirror, 3 x soft toys which can be attached to the bars, and music. The activity bars can be removed to use as a large 120 x 120 cm activity mat which is well padded for baby comfort. Safety Mirror for extended tummy-time. Hanging soft toys can be moved and rearranged by hooking them to the arches’ rings.